variety of tastes from gourmet mountain cuisine to saloon-style grub. Providing both international and ethnic cuisine, Colorado has taken the best of Mexican cuisine and made it its own, with the star being thick, spicy green chile which is Colorado’s gravy, comfort food, and cure-all rolled up in one. In addition, beer and wine connoisseurs are increasingly drawn to Colorado’s growing list of award-winning wines and beers. Fill in the form below and we'll send you an email with all our current deals for Colorado. 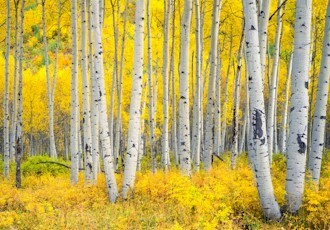 Aspen, Snowmass and Backcountry Savory Getaway through Colorado's High Country! Snowmass, Aspen, Carbondale and Ashcroft Savory Sojourn through Colorado's High Country! Cooking, Dining, Baking, Eating and Touring with Altitude! For the past 15 years, Culinary School of the Rockies' recreational cooking classes and culinary vacations have captivated and enriched the lives of thousands of home cooks in the Boulder, Denver area and across the country. This bed and breakfast can teach you some new tricks in the kitchen. Cooking classes include hands-on participation, with everyone enjoying the fruits of their labor at dinnertime. Cook Street offers classes for cooks of all skill levels. Whether you consider yourself a culinary wizard or you've just mastered boiling water, we have a class that's right for you. Come & Gather with us! 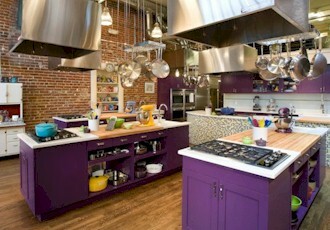 We are a locally owned business proud to offer exciting and unique cooking classes to the Colorado Springs area. Join our welcoming food community and ignite your passion for cooking! Chef Kendra is available in Aspen or Telluride for cooking classes/dinner parties, kid's cooking classes or catering in Aspen & Telluride. Master new cooking skills as you sip delicious wines. Savor incredible dishes that will make you the star of any season. Sample class titles include: Perfect Pie 101; Artisan Bread; Gluten-free Baking; Italian Regional Cuisine - Winter in Tuscany; Sauté Basics; Meatless Mondays: Spanish Tapas; and Teen Cuisine. Located in Boulder, Colorado, we provide a hands-on kitchen for families, kids, and teens to discover flavors from around the world. From Weekend Chef and Family Classes to Summer Cooking Camps, our pantry full of options ensures that cooks of all levels have the opportunity to learn something new. Great cooking isnt about recipes—its about techniques. From Thai to Texas barbecue, our classes let you explore a world of cuisines and disciplines. In our classes youll work together with other students in a fun, hands-on environment led by our professional chef instructors. Chef Dan Witherspoon combines a variety of cooking experiences with classical French Cuisine. The goal of The Gourmet Spoon is to bring to you a wide variety of knowledge and entertainment. Learn the art of preparing grains, beans, and vegetables in one of the first schools offering serious programs for both the home cook and the aspiring professional. From the heart of America's 'Foodiest' Town: An unforgettable afternoon exploring Boulder's tantalizing culinary arts scene. Educational seminars, wine dinners and unique tastings featuring hundreds of wineries, artisan spirits and craft beers. Chocolate tastings, samples, speakers, cooking demos, wine tastings, contests, food and drink vendors, live music, and lots more. A wine pairing dinner, seminars, a chef/student pairing challenge with top chefs, a Grand Tasting of over 100 wines, live music, art and more! A Festival of Fine Arts & Dining with Culinary Contests on Creede's Historic Main Street! Chicken, Car Show, Great Music & Entertainment, Food and Craft Vendors, More Chicken, Chicken Games, Eating Contests, Mike's Market and more. 25 CO Wineries pouring tastings & selling bottles of wine. Food booths and entertainment throughout the event. Enjoy the harvests at one of the best farmers' markets in the mountains! You don’t want to miss out on getting your own plate of this BBQ! Three incredible days of cooking demonstrations, wine tastings and panel discussions by world-class chefs and wine experts. Get a taste of Colorado with locally grown produce, international dishes, baked goods, CO wine,and art show. Every Sunday. Features live bluegrass music and tastings from local restaurants as well as wine and beer vendors. Enjoy three days of arts, crafts, live entertainment, food and beverages. Featuring world-class sommeliers, chefs, mixologists, and industry celebrities, this is a festival not-to-be-missed! Harvest lavender, visit lavender farms, enjoy lunch & wine, as well as lavender vendors, music, and demos. Get a taste of Colorado with locally grown produce, international dishes, baked goods, CO wine,and art show. Enjoy a Saturday afternoon of beer tastings from some of Colorado’s finest breweries & other breweries from around the world! Sample the different and unique beers by specialty craft brewers from around Colorado. More than 300 varieties of wine – red, white, bubbly and everything in between, along with educational wine seminars and smooth jazz shows. Innovation meets tradition during exciting culinary workshops, seminars, dine-around dinners, informal eating & drinking, and a grand tasting hall. Celebrating the creativity and personality of Denver, with events, exhibitors, blue ribbon competitions and more! Top CO wineries showcase their wine selections & spotlighting today's winemakers. Enjoy a fun-filled day of bottomless, fresh, craft beer samplings from over 55 Notable Craft Brewers. Celebrate craft beverages from around Colorado and beyond and features; live local music, food, and other vendors. This festival showcases Pan-Asian traditional & contemporary arts, customs, cuisine and arts & crafts market, plus action packed dragon boat racing. 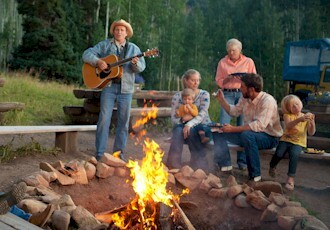 Down-home cooking, frothy flavors and mountain music are just a few pieces of the pie. Enjoy tastings from wineries located throughout Colorado. We have food vendors and great live music, too. Celebrate the peach harvest with food, art & craft vendors, music, culinary activities, special events, and world famous Palisade Peaches! A full day of fun with 50 breweries, 100+ beers, and great live music. Let the celebrations and story of Ireland begin!